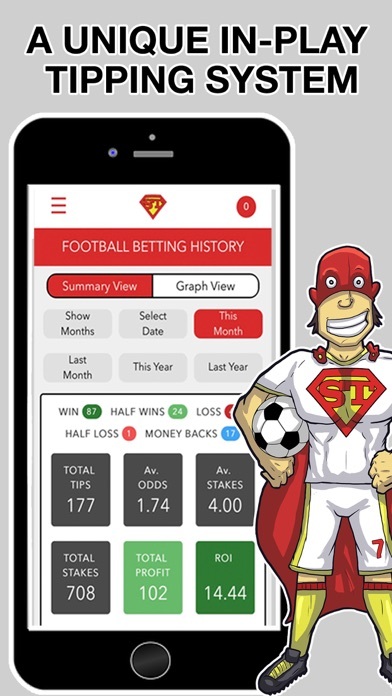 Superhero Tips is the tipster service with the best ROI available. We are constantly posting football winning tips. Download now to get access to the tips. We give you 14 days FREE to prove to you how good the tips really are. 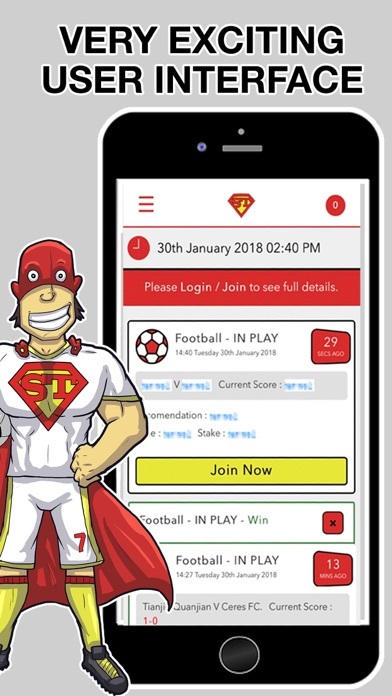 Whether you are a punter looking for some fun, a serious profit seeking individual or a tipster with a client base you want to provide quality service, Superhero Tips is your solution. 1. 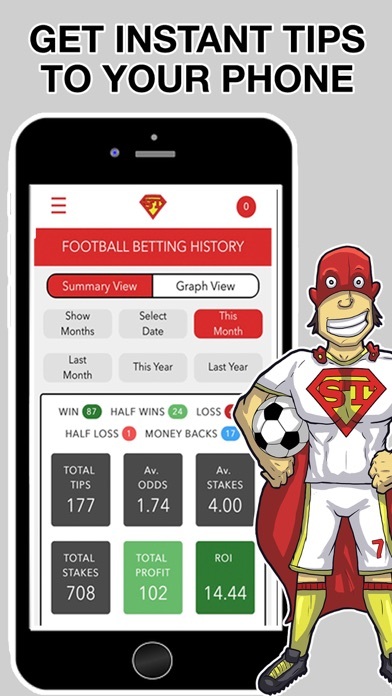 The BEST TIPS – we give you the very best FOOTALL tips with a direct link straight through to place the bet FAST - meaning you do not have to spend a long time looking for the tips. 2. INSTANT NOTIFICATIONS – We send you the tips via push notification and SMS – you can decide what type of tips you receive. 3. IN PLAY – We react to the games that are live meaning we get the best odds available. Our tipsters have done the research so you don’t have to! If you have any questions at all about the tips we provide or the service we offer please get in touch – tips@superherotips.com. Follow us on Twitter https://twitter.com/superhero_tips for more free tips and exclusive content. To use Superhero Tips you must be 18+ and located in the UK. 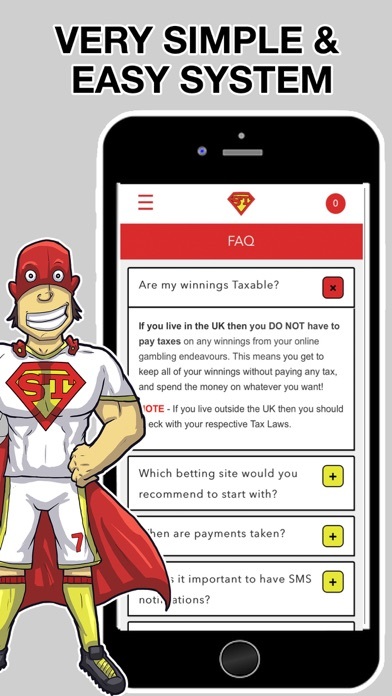 Superhero Tips facilitates betting via bookmakers who operate in regulated markets only, as defined by our licensed betting partners. Superhero Tips do not accept wagers directly. Visit www.superherotips.com to get our full Terms and Conditions.